Well, it’s been so long since my first visit to Rick Stein’s new restaurant in Winchester that I’ve actually been back a second time to enjoy it. In case there’s any of you still wondering about whether or not to book a table I’m finally getting around blogging about my recent visits. Myself and the OH are big fish and seafood fans so, it’s fair to say we were excited about this new restaurant. My first thoughts were how different it looked from Jamie Oliver’s Union Jack’s that had previously occupied the site and even more radically different from the days when it was a Pizza Hut! It is hard to believe it’s the same space, it’s such a cool, calm and welcoming layout. There is comfy seating by the doors if you need to wait for a table, or if like me you like to sit and have a drink before your meal. I found this a lovely area to sit and sip a bellini, they had other classic cocktails on the list too (which I’m sure I’ll try on my next visit!). 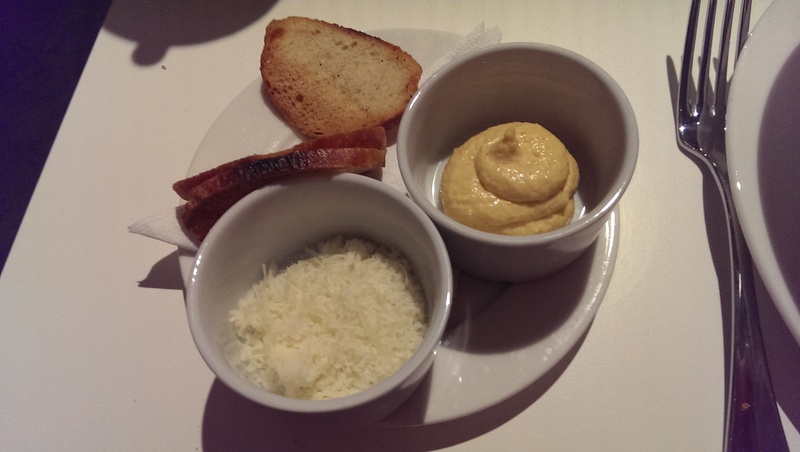 The menu is simple but exciting I found, I could have easily enjoyed anything from it but on my first visit a settled on a classic fish soup served with rouille and parmesan. 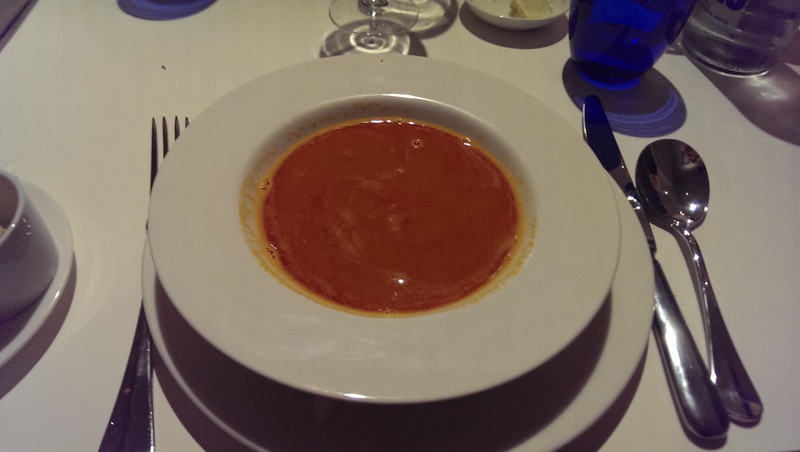 I just love these kinds of fish soups that you get on a Mediterranean holiday and this one didn’t disappoint. There’s something very satisfying about customising your soup by adding lots of cheese and garlicky rouille! A word of warning, it was very filling by the time I’d had bread too. I could have easily eaten it as a main course! I opted for the filled of hake for my main served with spring onion mash and soy butter sauce. It certainly was a sizeable fillet of fish (or maybe it just seemed that way after polishing off my soup and extra bread! ), everything on the plate was light and delicately flavoured. It was just delicious and a clean plate was left behind. I thoroughly enjoyed the meal, as did my dining companion, I was incredibly full though (my own greedy fault!). So I remembered this on my next visit and opted for a lighter prawn and crab cocktail to start with, which was lovely, although I did look longingly at other diners enjoying the soup! 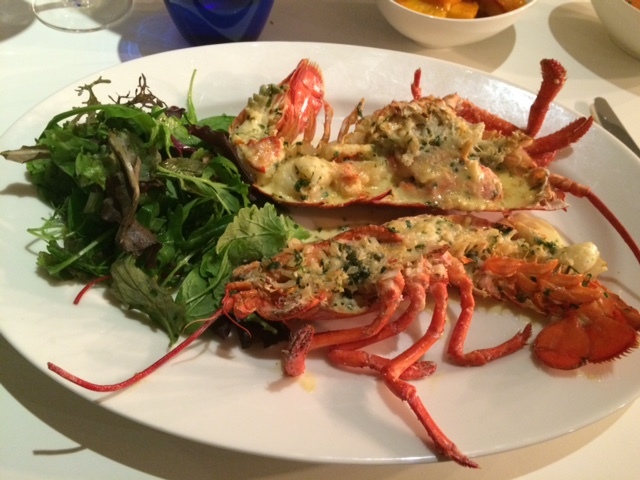 On my second visit they had a special main course of a Lobster Thermidor, which I couldn’t resist (it’s lobster and there’s cheese after all!!). This was a good size and not too huge – just right for me. 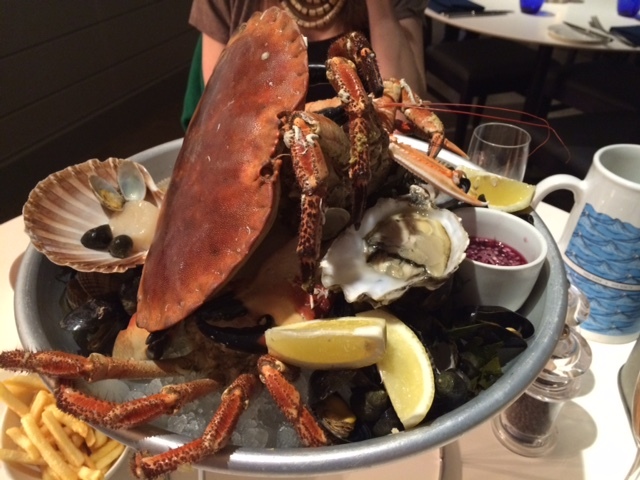 A rather large seafood platter, featuring a huge crab! It was thoroughly enjoyed and I did help out a little of course – so yes the whole thing was demolished. I must also mention the sides, they were so good and probably partly why I filled up so much on my first visit! In particular the roast pumpkin with chilli oil was just gorgeous – I could eat a whole plate of it. 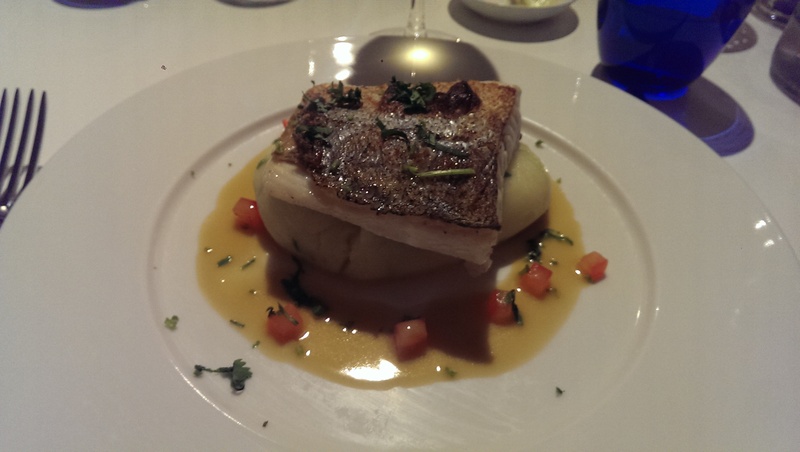 So there you have it, my experience at Rick Stein Winchester. After visiting a few times, you can’t accuse me of not being thorough with my reviews! I really enjoyed the food, the wine, cocktails and the atmosphere so would recommend it to anyone who likes fish and seafood. There are couple of non-fishy and veggie courses for those you who don’t do fish but really the fish is the main attraction here. Have you been? Let me know what you thought if so. We went last week, it was lovely. Much nicer than it was as Jamie Olivers restaurant. We shared the seafood platter, that came with lobster and it was a mountain of food! My only gripe was that they were really slow to get us some drinks, we went straight to the table and had to wait 10 minutes. The food however, came out really quickly and it was scrumptious. I’d certainly go again.